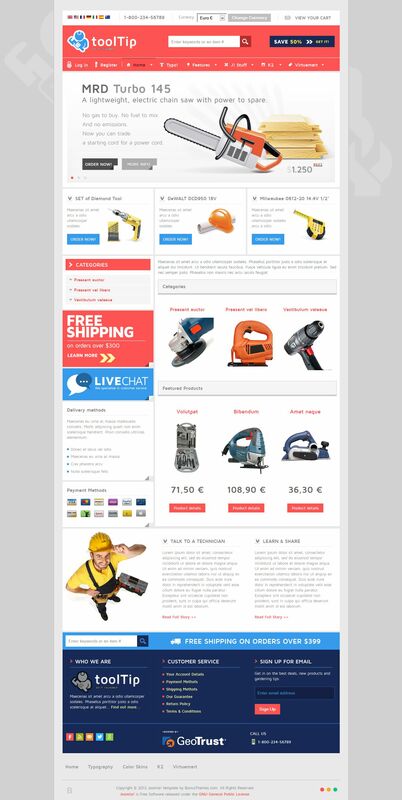 BT Tooltip - another qualitative pattern internet - shop of the famous studio BonusThemes. This template fully supports versions of joomla 2.5 and 3.0. For online - commerce template uses the known component VirtueMart, with which it is possible to carry out the sale of goods from your site online. Also pattern is qualitatively crafted design. Template BT Tooltip perfectly optimized for search engines, has a high speed of loading pages, and is fully compatible with all popular browsers. Template also equipped with support for functional component K2, which gives you the flexibility to customize the display of materials on your site.